Not me – I’m already modern! But someone else is “going modern” – Leigh Knox to be specific. 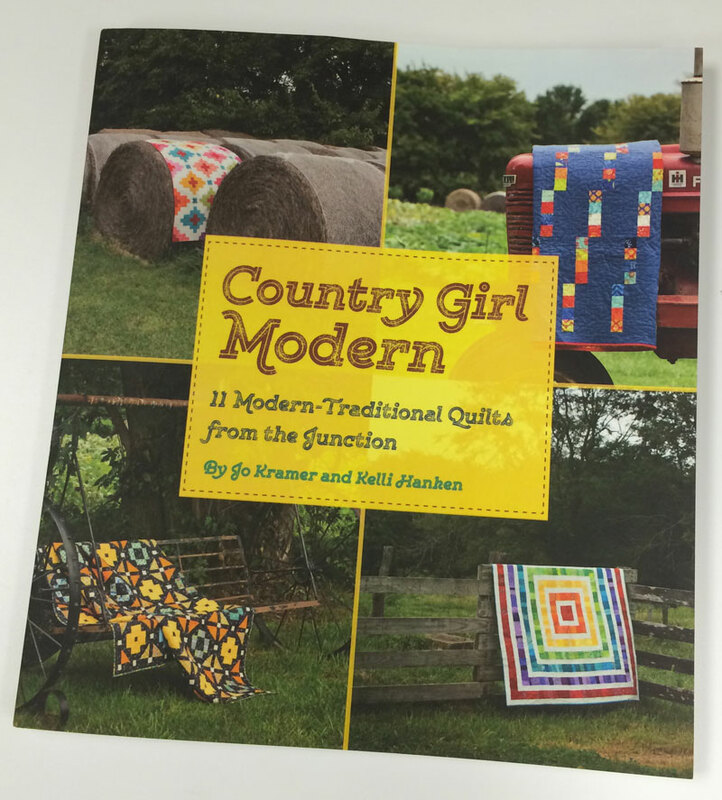 First, the girl went to QuiltCon – and didn’t come say Hi – but the randomizer picked her name from the list and so I’m sending her a copy of Jo Kramer and Kelli Hanken’s Country Girl Modern. Leigh – if you’ll check your e-mail box, I sent you a request for your address. Thank you to everyone who participated, I wish I had enough books to send to everyone. The good news is that you’ll find it at your local quilt shop – it’s a Kansas City Star publication so if they don’t have it, they’ll know who to call to get you a copy. You’ll love it – it’s terrific. Thank you to Jo and Kelli for asking us to hop-along with them. SSQUEALLLL..thank you. I am so excited. Thank you, thank you.